Few cases of possession of this volume of cannabis result in substantial county jail time. A perpetrator is more likely to face a multi-stage disposition that may include court supervision, payment of a fine, mandatory substance abuse counseling, and return to the court at a later date to determine whether the disposition should remain part of a public record that names the defendant. The legislation currently on the Governor’s desk, SB 2228, takes steps to reclassify the possession of very small quantities of cannabis from a misdemeanor criminal offence to a civil offense. Instead of being arrested, defendants would be issued a citation and face a different court process to dispose of their case. They would pay a fine of $100 to $200 for a first offense. 16 other states have already reclassified the possession of small quantities of cannabis as a civil offense. News reports indicate that some facets of law enforcement have mixed feelings about SB 2228. Many police officers privately see the enforcement of criminal penalties against persons caught with small quantities of pot as an unwanted distraction during a time of unprecedented challenges against law enforcement. However, the ability of law enforcement to maintain the threat of a misdemeanor criminal prosecution against a defendant, and to bring the defendant to trial, is seen as a valuable tool in overall peace officer strategy. In addition, reducing the potential maximum penalty against persons accused of this offense is seen as “sending the wrong signal” by many. Governor Rauner’s office has told the press and the General Assembly that the Governor is consulting with the Illinois State Police and inquiring about the continuing concerns raised by some facets of the law enforcement community. The chief executive has until August 15, 2016 to take final action on SB 2228. New State job-creation agency gets name. ‘Intersect Illinois,’ the name of the new agency, reflects the Prairie State’s position as a focus of U.S. nationwide transportation infrastructure. Intersect Illinois was created as a spinoff from the Department of Commerce and Economic Opportunity (DCEO). Set up to be similar to job-creation agencies in other states such as Georgia and Wisconsin, Intersect Illinois will share traits of the private and public sectors. It will be in charge of “selling” Illinois to potential job creators. The new name was announced on Monday, July 25. Intersect Illinois, created by executive order of Gov. Bruce Rauner, has already begun selling Illinois as a place to work and invest. On Tuesday, July 26, for example, Amazon.com announced their decision to open a new 750,000-square-foot order fulfillment center in Romeoville. No local or state tax breaks were offered to Amazon in exchange for the decision, which concentrated on the infrastructure advantages enjoyed by Romeoville and other locations along the Chicago-area’s I-55 corridor. Governor signs key Bellock bill. HB 4352 strengthens the education of children with dyslexia by establishing a statewide definition of this condition. The new law also mandates the Illinois State Board of Education (ISBE) to include the definition in their future contacts with schools. The bill, introduced and sponsored by Representative Patti Bellock, was signed into law by Gov. Bruce Rauner on Friday, July 22. “Children with dyslexia must not be left behind in the classroom,” Bellock asserts. Defining dyslexia and moving toward making the definition an integral part of educational target management will enable teachers to recognize the presence of this condition in classrooms. Teachers and educators will be able to fight back against the perverse incentive to ignore children with dyslexia as a way of keeping their test scores high. They will be able to integrate the presence of children with dyslexia into their classroom plans and reading instructions. The bipartisan-sponsored HB 4352 was unanimously approved by the House and Senate. It goes into effect immediately. Tougher process put in place to select a long-term private partner. The announcement of a new search to select a private operating partner for the Illinois State Lottery was made by Gov. Bruce Rauner on Thursday, July 28. The Rauner administration has requested eligible firms to bid for a long-term contract to manage and operate the Lottery’s day-to-day operations. The RFP request includes terms and conditions meant to protect the interests of the State, its taxpayers, and the K-through-12 educational institutions that are the legal recipients of State lottery profits. Illinois takes in more than $670 million in net Lottery revenues annually. Popular Lottery tickets include daily games, scratch-off-games and multi-state jackpot games. Current law allows the Department of the Lottery to work with a private partner, and the administration of former Gov. Pat Quinn inked a plan in September 2010 to turn over much of the day-to-day operations of the Lottery to the Northstar Lottery Group. The 2010 Northstar privatization announcement was accompanied by a great deal of fanfare as to how many new lottery tickets would be sold and how much increased revenues would be paid by the private partner to the State. Unfortunately, as soon as the privatization agreement was implemented Northstar’s ticket sales and payments to the State fell badly short of projections. The Rauner administration took steps upon taking office in January 2015 to sever the State Lottery/Northstar partnership agreement and begin to phase out operating ties with Northstar. Governor Rauner told reporters that one of his top priorities would be to craft a partnership agreement that would create mutual incentives for the private partner and the underlying owner of the lottery, the State of Illinois, to look towards Lottery innovation and growth. The RFP specifies that the projected length of the private partnership will be 10 years. Illinois State Police reports on implementation of concealed carry law. In 2013, Illinois became the 50th and final state to allow the concealed carrying of guns by license, permit, or as of right. In the Prairie State, persons seeking to carry a concealed firearm must undergo training and get a license from the State Police. More than 181,000 Illinois residents had obtained licenses as of June 1, 2016. While passage of the Illinois concealed-carry law was delayed by debate and concerns, including concerns from some facets of law enforcement, a recent press account indicates that these concerns have largely subsided. Police and law enforcement leaders say they see few problems with the new law. The training requirement imposed on first-time applicants by the Illinois concealed-carry law includes instruction in firearm safety. Continued concerns about the law from firearms’ rights advocates center on issues of interstate concealed-carry permissions and reciprocity. Some states, such as Arizona, allow persons to carry concealed weapons as of right without a training or licensure requirement. On the other hand, some other states (led by California and New York) have tougher concealed-carry licensure requirements than Illinois. Breast tomosynthesis mandate signed into law. The technology for improved breast imaging, sometimes called “3-D mammography,” is already in place. 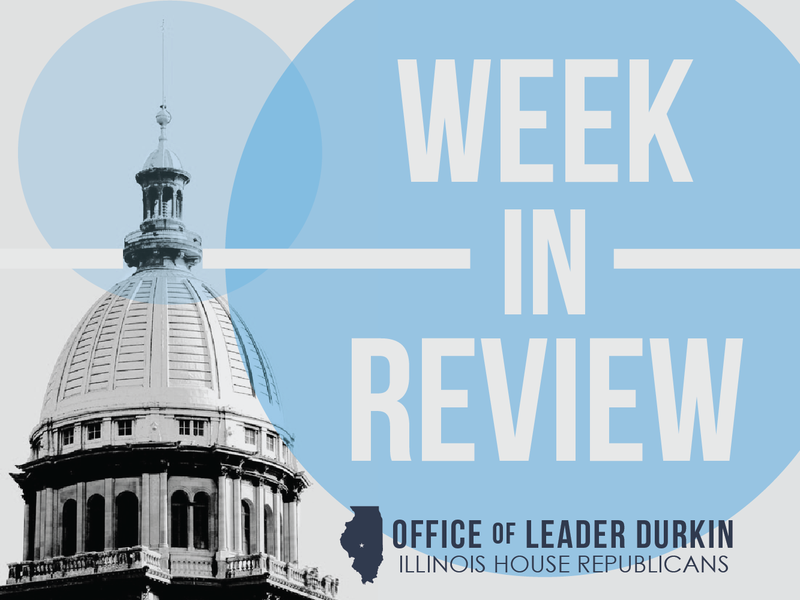 SB 466, sponsored in the Illinois House by Rep. Michael McAuliffe, will improve screening for Illinois breast cancer by directing health insurance policies to cover this existing procedure. Instead of a single X-ray taken from a single direction, breast tomosynthesis captures an image of the breast through a series of X-rays from different angles. The individual bits of X-ray data are aggregated through software into a complex image. Tumors hidden by dense tissue can be seen by a skilled radiologist. “This bipartisan legislation signifies the commitment of the General Assembly to the fight against breast cancer,” McAuliffe stated as the bill was signed into law. “The best way to fight cancer is with early detection.” Statistics compiled by the Illinois Department of Public Health (IDPH) indicate that 10,290 Illinois women will be diagnosed with breast cancer in 2016. Historically, diagnoses of breast cancer make up almost one-third of invasive cancer diagnoses in Illinois women, with as many as 1 in 8 Illinois women expected to face this diagnosis at least once in their lives. With McAuliffe’s sponsorship leading the way, the House unanimously approved SB 466 in May 2016 by a vote of 114-0-0. Governor Rauner signed the measure into Illinois law as P.A. 99-588 on Wednesday, July 20. Illinois Realtors report prices continuing on upward trend. The report from the Illinois Association of Realtors showed that June 2016 median Illinois home prices had risen 5.8% in comparison to June 2015, and a greater percentage of the homes listed for sale turned over in the summer month. The statewide median home price rose during this period from $192,800 to $204,000. Home sales typically slow down in summer, with high-end homes taking a more prominent place within the overall year-round market. The year-to-date median Illinois home price is $183,174, significantly lower than then June 2016 median. On the other hand, the six-month median Illinois home price was up 7.3%, displaying continued strength within the broad base of the market made up by middle-class homes. Low mortgage interest rates continued to play a role in the overall Illinois housing price recovery. The monthly average commitment rate for a 30-year fixed-rate mortgage was 3.57% in June 2016. As in previous months, median homes within the city of Chicago were significantly more expensive than houses in other parts of Illinois. New law requires police to target their surveillance of wireless phone data. The new Citizen Privacy Protection Act limits the use of the widely-discussed transmitter called “Stingray,” which has been extensively marketed to police forces. Stingray transmitters broadcast a signal that looks like a cell site. The phony ‘repeater’ is treated as a friend by all of the cellphones within electronic earshot, and the devices promptly share the phone’s location and who it is talking to or texting at the time. Police forces naturally want to gather as much information as they can on criminals and suspects. “Stingray,” however, does not know or care who is a target of criminal investigation, and sweeps in this key information about everybody. In order to control the use of “Stingray” and related technologies, the new law requires police to delete the phone information of all non-investigation-targets within 24 hours. The law also forbids police from accessing data for use in an investigation not authorized by a judge through warrant or other process. The Citizen Privacy Protection Act was introduced in the General Assembly as SB 2343. In the House, it was co-sponsored by House Republican Representatives Peter Breen and David Leitch. 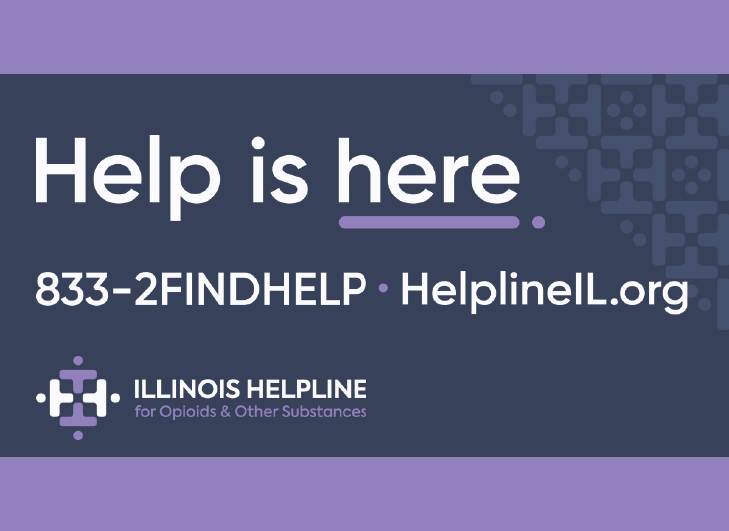 Governor Bruce Rauner signed SB 2343 into law on Friday, July 22, as P.A. 99-622. Illinois jobless rate declines to 6.2%, but total Illinois jobs also decline. Since the commencement of the 2008 economic downturn, Illinois’s job-creation and jobless figures have lagged the national numbers enjoyed by the other 49 states. This pattern continued in June 2016, with the State’s nonfarm payroll totals declining by 2,200 jobs from May 2016. Illinois continues to have fewer (6,003,600) payroll jobs within State lines than were counted sixteen years ago in September 2000. June 2016 statewide unemployment rates also dropped from 6.4% (May 2016) to 6.2% (June 2016), with the State’s total labor force declining due to outmigration and persons of labor age leaving the Illinois job market. Jobs numbers compiled in June by the Illinois Department of Employment Security (IDES) show continued weakness in manufacturing, with more than 9,000 Illinois factory jobs lost between June 2015 and June 2016. This 12-month trend line indicates a continued shift by the Illinois economy from manufacturing employment to employment in leisure, hospital, professional services and business services. 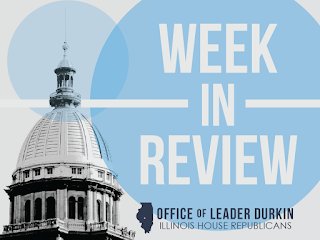 Over the shorter, 30-day period between May 2016 and June 2016, Illinois’ weakness was concentrated in educational and health services, with 7,300 jobs lost during this one-month period. Throughout Illinois when measured by region, the overall job-creation picture showed a net gain of 39,700 new payroll job positions on a year-to-year basis, an increase of less than 1%. Within Illinois, some areas gained jobs and some lost jobs during this period. Job gains were concentrated in metropolitan Chicago and adjacent Lake County, with a net gain of 53,700 jobs in the year-to-year period. Job losses were concentrated in nonmetropolitan Downstate counties, with a net loss of 16,500 jobs in the largely-rural counties of Illinois. There was also significant weakness in the traditionally-farm-machinery-oriented Quad Cities metropolitan area, with a net loss of 5,500 jobs in the Davenport-Moline-Rock Island area. Declining prices for crude oil and corn-based ethanol weighed upon economic trends in these areas. IDES continues to work to improve Illinois’ jobless picture and enable people who are between jobs to find new employment. Applicants for new employment and Illinois unemployment benefits are requested to post an online resume on the Illinois Job Link webpage as part of their contacts with the Department. New law applies to objects dropped from nearby hills or buildings. Current State law creates the felony of vehicular endangerment, meant to catch and punish people who drop objects onto moving motor vehicles. The crime is a Class 2 felony for which the perpetrator may be sentenced to a term in State prison of 3-7 years. The original definition of “vehicular endangerment” applied solely to objects falling from highway overpasses, because those are the places from which dropped objects are most dangerous. However, the law of gravity means that items can be thrown or dropped onto moving vehicles from many other locations, including hills, buildings and highway ramps. A retired sheriff’s deputy, Representative Brian Stewart of Freeport is aware of the danger to motor vehicle drivers and passengers from this criminal act. This year, he was the lead sponsor of HB 6010 to expand the definition of vehicular endangerment to include objects from a variety of starting points. Gov. Bruce Rauner signed HB 6010 into law on Thursday, July 28 as P.A. 99-656. Rep. Bennett leads adoption of registration-sticker idea. Almost all private owners of motor vehicles registered in Illinois must annually re-register their vehicle and pay a fee. Proceeds from the fees are sent to the Secretary of State’s office and help pay the operating expenses of its Driver Services division. Approximately 10.4 million vehicles are registered for legal driving in Illinois. The office used to send out annual reminder letters to tell vehicle owners when it was time to renew, but has ceased to do so. Some motor vehicle owners have not been able to re-register their motor vehicles and add new stickers to their license plates in a timely manner, leading to law enforcement citations. Representative Thomas Bennett, who represents a district centered on Pontiac, Illinois, has long private-sector experience in database management. In spring 2016, he sponsored HB 5651, a bill to allow motor vehicle owners to “opt out” of any current 12-month annual registration sticker renewal cycles they may be in, and to choose a new sticker based upon their birthday. Starting from the premise that motor vehicle re-registration is a data input problem and that few people forget their birthdays, Rep. Bennett asserted that using this familiar day as a benchmark would sharply reduce incidents of re-registration neglect for those motorists that choose to adopt the new cycle. The Secretary of State is authorized by this bill to offer the birthday-re-registration option. The bill applies to all cars and to light trucks weighing not more than 8,000 pounds. 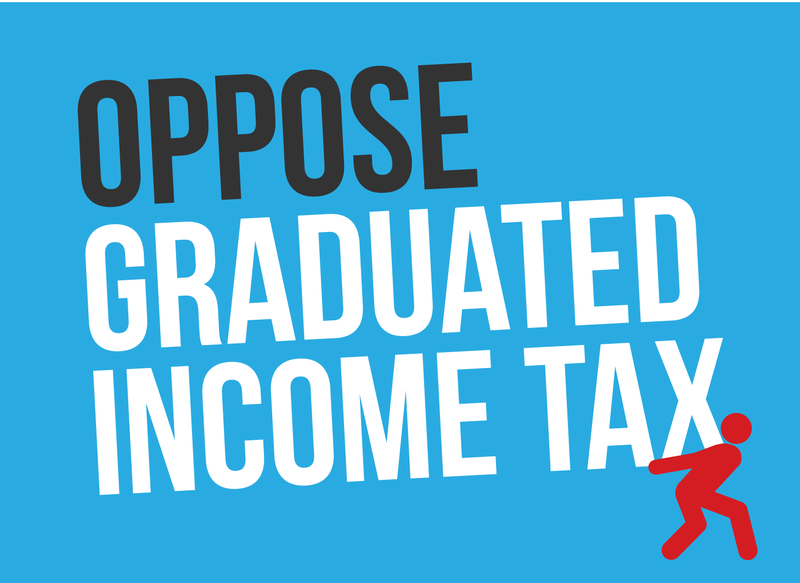 Governor Bruce Rauner signed this measure into law on Thursday, July 28 as P.A. 99-644. It will not go into effect until the Secretary of State’s office gives it an official approval and adopts administrative rules to implement the new re-registration policy. Train crossing violation fine is doubled; long-awaited 110-mph service gets closer. A multi-year project of track refurbishment and rebuilding on the railroad corridor that connects Joliet, Illinois with St. Louis, Missouri is approaching its final phase. According to the Illinois Commerce Commission (ICC), the final phase will include the installation of numerous pieces of warning infrastructure, including crossing gates, signals, sensors, and road signs. The infrastructure will try to prevent motorists, bicyclists, and pedestrians from getting in the way of trains running at speeds up to 110 mph. The Amtrak trains that shuttle back and forth between Chicago and St. Louis are currently limited to a top speed of 79 mph for almost all the route. An improved roadbed, better signals and warnings, and the installation of security fencing will make it legally possible for the trains to speed up. The new signals will prevent legal crossing of the railway roadbed for longer periods of time (up to 90 seconds) before the train approaches the crossing. Illinois law already imposes a fine upon the driver of a vehicle that trespasses into a railroad grade crossing when a warning signal is showing and sounding. The fine for a first offense, currently $250, will on January 1, 2017 become $500 under P.A. 99-663, (SB 2806), signed by Governor Rauner on Thursday, July 28. Law enforcement is expected to intensify their monitoring grade-crossings and their signals following implementation of the new law in 2017, especially along the Chicago-St. Louis fast train route. The bill was sponsored in the House by Representative Mike Tryon. Season announcement for 2016-17 covers ducks, geese, and teal. The first waterfowl season will allow the taking of Canada geese and will open on September 1. Other seasons will open thereafter. The seasons open and close according to a schedule devised by the Illinois Department of Natural Resources (IDNR) in order to maintain the populations being hunted. Licensed hunters are requested to adhere to bag limits and other regulations established for this purpose. The seasons cover a variety of ducks, geese, mergansers and teal.